The JDK Collections class has several method to create synchronized List, Set and Map and we will use Collections.synchronizedList() method to make our ArrayList synchronized. This method accepts a List which could be any implementation of List interface e.g. ArrayList, LinkedList and returns a synchronized (thread-safe) list backed by the specified list. So you can also use this technique to make LinkedList synchronized and thread-safe in Java. 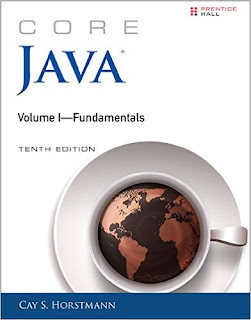 For curious readers, I also suggest to take a look at Core Java Volume 1 - Fundamentals by Cay S. Horstmann. One of the better and up-to-date book on Java programming. One of the main challenge of sharing ArrayList between multiple thread is how to deal with situation where one thread is trying to access the element which is removed by other. If you are using methods like get(index) or remove(index) method to retrieve or remove element than it's also possible that other thread may also be removing other elements, which means you cannot call get(index) or remove(index) reliably without checking the size of the list first and then you also needs to provide extra synchronization between your call to size() and remove(int index). As suggested in Java documentation, failure to follow this advice may result in non-deterministic behavior. Also the list will be serializable if the provided ArrayList is serializable. See Core Java Volume 1 - Fundamentals by Cay S. Horstmann. One of the better and up-to-date book on Java programming. 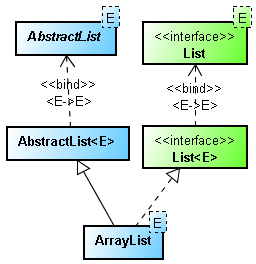 Here is the complete example of synchronizing an ArrayList in Java. If you look, we have created a List of String and added couple of elements on it. Then we passed this ArrayList to Collections.synchronizedList() method, which returned a thread-safe, synchronized version of backed list. You can now safely share this list among multiple thread, but you need to be little bit careful while retrieving or removing elements from ArrayList. In order to have safe access you should use Iterator for getting and removing elements from the list and that to in synchronized manner as shown in this example. That's all on how to synchronize ArrayList in Java. As you have have learned it's very easy to do that in Java because of Collections.synchronizedList() method but you need to be little bit more careful while retrieving and removing objects from List. By the way, there are couple more options available to you in form of Vector and CopyOnWriteArrayList. Vector is very old class but was retrofitted to implement List interface in Java 1.4 and more importantly it is synchronized so you don't nee to synchronize it again. By the way, while using Vector make sure you use it via List interface and not by using legacy methods, otherwise you won't be able to replace the implementation later. On the other hand CopyOnWriteArrayList is part of concurrent collection classes in Java and much more scalable than both Vector and ArrayList. If your program mostly read from List and occasionally updates it, this could be the right choice.